The Smithsonian museums, the National Zoo and National Gallery are among an extensive list of closures due to the partial government shutdown. The National Gallery of Art was the last holdout before announcing its shutdown Thursday morning. "During the partial federal government shutdown, the offices and all premises of the National Gallery of Art and its Sculpture Garden are closed to the public, and all programs are canceled," read a message posted on the gallery's website. No online transactions, including purchases from the gallery shops, will be processed. Washingtonians have weathered several government shutdowns since a 16-day closure in 2013. The current shutdown began Dec. 22, when the Senate and House adjourned without a budget deal. Although multiple destinations around D.C. are now off-limits, some other popular spots remain open — and many of the 800,000 federal employees put off the job or working without pay can find discounts, deals and specials across the region. What's Open or Partly Open? The Capitol Visitor Center is open with options for tours and programs. The center's calendar of events is online here. The National Park Service says that some parks are open to visitors, but access could change without notice. Websites will not be updated. Many services, including restrooms and visitors centers, may be closed. Educational programs will be canceled. Park roads, lookouts, trails and open-air memorials will mostly remain accessible to the public, according to Department of Interior guidelines. Food kiosk and concessions operated by Guest Services, Inc., will stay open, except at the Ellipse Visitor Pavilion and the retail operation located in the basement of the Thomas Jefferson Memorial. Eastern National will continue to operate bookstores at the Franklin Delano Roosevelt Memorial, Lincoln Memorial, Martin Luther King Jr. Memorial, Thomas Jefferson Memorial, Washington Monument Lodge and the Old Stone House in Georgetown. 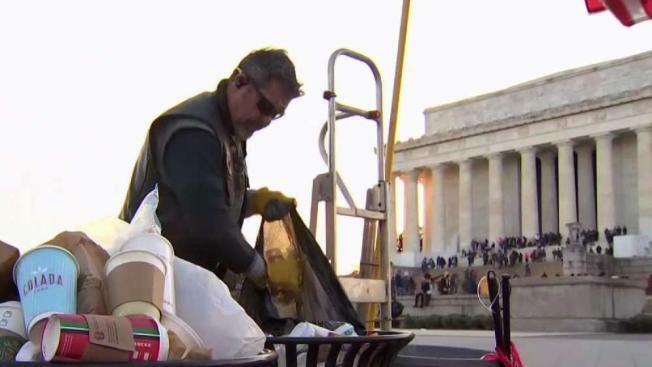 Mayor Muriel Bowser arranged for D.C. sanitation crews to pick up trash from bins on the Mall. Some areas of Rock Creek Park will remain accessible, the park posted on Facebook. Museums that aren't government-sponsored will still be open during the shutdown, and many are offering discounts to workers who are currently off the job. 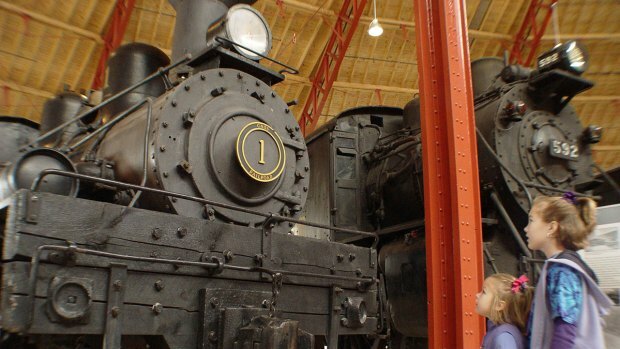 The B&O Railroad Museum in Baltimore is free to furloughed employees with ID and online tickets from the Newseum are 15 percent off. Others, including the Anderson House in D.C. and The National Museum of Health and Medicine in Silver Spring, are free daily. Local government services in Washington, D.C., Virginia and Maryland won't be affected by the shutdown. Metro and bus routes continue to run despite the funding lapse. The Old Post Office Tower was closed to visitors due to the shutdown, but it reopened on Saturday. National Park Service employees are resuming tours through an agreement with the General Services Administration, which owns the building and is funding the NPS staff. All performances will go on as scheduled, and you can shop in the gift shop during certain hours. The building's public hours will be curtailed. Performances of "A Christmas Carol" went on as planned but have now wrapped up with the end of the holiday season. The Aftermath Exhibits in the Center for Education and Leadership are open for daytime visits. The historic site, which includes the theater, museum and Petersen House, are closed to visitors. The Langston and East Potomac golf facilities are open. Despite being owned by the National Park Service, Glen Echo Park will remain open during the shutdown because of its new agreement with Montgomery County, the park said on its website. All marinas on National Park land in the D.C. metro area will remain open, including Belle Haven, James Creek, Columbia Island, Washington Sailing Marina and Fort Washington Marina. The Smithsonian museums are closed as of Jan. 2, until funding is appropriated. Closures include the American History Museum, the Renwick Gallery and the Air and Space Museum in the District and the Udvar-Hazy Center in Chantilly, Virginia. The National Zoo is also closed. Staff charged with taking care of animals are reporting to work, the Smithsonian said. The gallery is closed as of Jan. 3. This includes all premises of the National Gallery of Art, its Sculpture Garden, website updates and online transactions. All facilities are closed, meaning you can't go see the country's founding documents. The Federal Records Center and Federal Register remain open. Arlington House was already closed through fall 2019 for a multimillion dollar rehabilitation. The Belmont-Paul Women's Equality National Monument is closed during the shutdown for resource protection and safety. The Carter G. Woodson National Historic Site, which is operated by the National Park Service, is closed during the shutdown. The Clara Barton National Historic Site, which is operated by the National Park Service, is closed during the shutdown. Open-air sites along the George Washington Memorial Parkway are accessible, according to NPS, but all other areas and facilities, including restrooms, are closed. Fort Washington is accessible to the public during the lapse in federal funds but there is no vehicle access and on-site facilities are closed. The Frederick Douglass National Historic Site is closed. During the government shutdown, Great Falls Park in Virginia will remain accessible, but emergency and rescue services will be limited. If you've made a reservation. the park says it may not be honored. There's also no staff on site. Areas of the park are closed due to flooding. Open-air sites along the George Washington Memorial Parkway are accessible, but all other areas and facilities, including restrooms, are closed. The Washington Monument is closed until spring 2019 for elevator repairs. The White House Visitor Center is closed.